Opening its doors a few months ago, the 100-year-old historic Crago Mill has been revived and restored to now house antiques, collectibles, jewellery, a winery cellar door and a cafe. Located close to the train station rather than in the town centre, the old mill sits at the end of a quiet cul-de-sac near the Bathurst railyards. 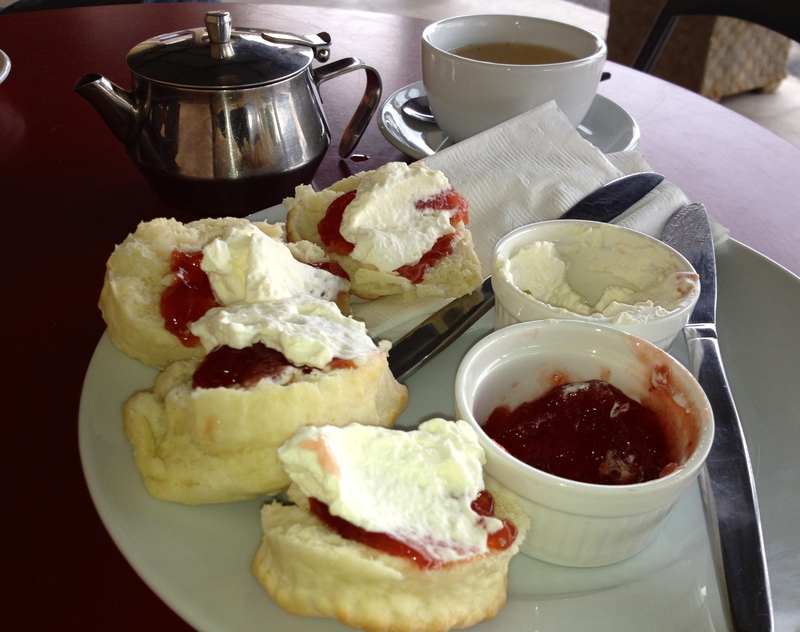 The service is relaxed and friendly, as it should be on the western side of the Great Diving Range, and the scones fresh. My companion agrees that the scones are delightful; creamy, soft and fluffy, although I’m a little annoyed that they arrive already halved. The jam is acceptable and the cream freshly whipped, with ample amounts of both. If I were lingering over conversation I would ask for extra hot water for my pot as there is only enough for a small cup. Make sure to browse while you wait. Tea: A selection of loose-leaf teas served in a too small pot. Overall: Chilled out space in an historic flour mill.